This horse is a giant by any standards and really excelled himself last year when moved from the Alners to the Nicky Henderson yard. Although lightly raced he was winning hurdles at Cheltenham and Ascot and his disappointing run in the Coral Cup can be put down to the good ground. Further improvement is expected as a chaser this season and being related to gold Cup winner Cool Dawn he can be expected to make his mark. Missed last season through injury but is expected to fulfil his promise for Willie Mullins this year. For the way he dismissed a quality field last time out at Punchestown suggests this French bred jumper has a bright future. Picked up an injury when a fine 2nd to Diamond Harry last November when contesting the Hennessy Gold Cup which put him out for the rest of the season. But as Nicky Henderson pointed out, time is on his side and as a winner of five of his chase starts his stamina will stand him in good stead; especially up the Cheltenham Hill come March. Won both bumper starts at Towcester and Fontwell on soft ground and then finished runner up to Cheltenian in the Champion Bumper at Cheltenham in March. This Irish gelding now in the care of Tim Vaughan is sure to make his mark in novice hurdles this season and is a horse to follow. Enjoyed a bright start to his career contesting three high class NHF races last season. A 2nd and 3rd to the smart Waaheb and Lovethehigherlaw, the last race a Grade 1 at Punchestown marks him down as a likely high achiever over hurdles for his trainer Jessica Harrington. It remains to be seen how this ex-French jumper measures up to the achievemnts of his half-brother Kauto Star but having won the biggest chase as a 4yo in France and now in the care of champion jumps trainer Paul Nicholls, I would be surprised if at least one Gold Cup victory was not within his reach and features as one of our top past horses to follow. A winner of two of his three starts in bumpers last season, including the Grade 1 champion race at Punchestown, beating the useful Waaheb by a neck, he is sure to feature prominently in high class novice hurdles in the 2011/2012 season. He is trained by Willie Mullins and related to champion hurdlers Morley Street and Granville Again. Mentioned in the same breath as Moscow Flyer this horse to follow in Jessica Harrington's yard won two Grade 1 novice hurdles last term and seemed set to repeat the trick in the Neptune until falling at the last. He stays 3m well and also boasts a good turn of foot and is sure to win plenty of races. An Irish ex-pointer who has joined the Paul Nicholls stable, this brother of Tell Massini won his only start between the flags, beating the useful Chasing Aces in a fast time. He is likely to be sent over hurdles this year and should be followed. 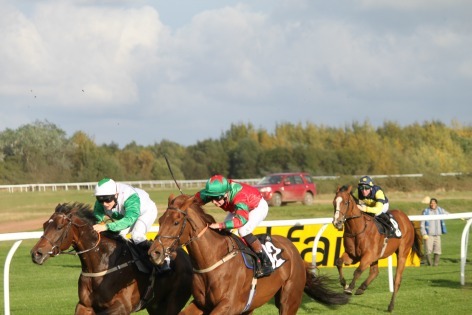 Winner of the Champion point-to-point bumper at Fairyhouse in April this exciting prospect in the stable of Ian Ferguson could achieve high rank in novice hurdles this season. His owner, Ronnie Bartlett turned down an offer of 100,000 euros from Michael O'Leary of Gigginstown Stud, so much is obviously expected of him. Attenborough - Unfazed by unsuitably soft ground at Haydock on his last start when running out a steady winner. Will be even better on faster ground. Foot Perfect - trainer D.Marnane - Irish trained horse who ran very well from a poor draw and will go close at 5 or 6 furlongs. Ghost Protocol - trainer D,Simcock - 2 year old who was just touched off on his debut. He will be more streetwise and fitter next time out and will take all the beating. Gassin Golf - Sir Mark Prescott's son of Montjeu, who holds a Derby entry, caught the eye when staying on strongly for 2nd at Lingfield last time and and is a bright prospect. Marajaa (W.Musson) Placed in top handicaps and now well down in the weights and at the time of year to catch him so check when running in 7f/1m handicaps. Mayoman - Seems to benefit from the use of headgear and when reapplied could be of interest and is a horse to follow. Pearl Opera - Stepped up to 1m4f she was making steady progress until meeting trouble in running and is worth keeping an eye on. Slugsy Morant (H.Candy)His chances last time out were scuppered when given a poor ride by his jockey. He stayed on well though for 4th and being well handicapped is one to keep an eye out for in 7f/1m handicaps. Thats A Fret - trainer L.Mcateer - Another from the emerald isle who made up late ground to finish well last time out. Could be suited by 6 furlongs plus. Opened his account on his second visit to the racecourse with a facile win on soft ground at Newbury in September, scything down the opposition to win by 9 lengths. He is sure to do well this term and boosted that claim with a clear cut win on his first start this year on good ground at York in the totesport Dante Stakes (Group 2). Although unsettled in the preliminaries he soon warmed to his task and beat a useful yardstick in Aidan O'Brien's Seville. He now heads to the Epsom Derby as likely favourite. Not fulfilled his promise after winning his debut race as a 2yo although placed in Listed company. This son of Refuse To Bend is now in the care of David Nicholls, a master at reviving the careers of struggling sprinters and after an encouraging 2nd and 3rd place finish last year is poised to hit top form. This son of Derby winner, Motivator started his career with a staying-on 4th in a 7f maiden at Newcastle in August. Third in the Trigger Trophy at Redcar in September and opened his account in a soft ground 1m maiden at Nottingham in October. With the right genes filling every bone and sinew, this improver is sure to win races this season. Not many juvenile fillies win two Group 1 races and O'Brien has a fine prospect on his hands for 2011. Following in the footsteps of Rumplestiltskin in 2005, Misty For Me also won the Moyglare Stud Stakes and Prix Marcel Boussac and this daughter of Galileo is sure to set pulses racing this season. Soon made his presence felt as a 2yo when powering clear on his second start in a 7f soft ground maiden at York in October. This giant of a powerhouse followed that 2 weeks later with a fst finishing 3rd over 1m at Doncaster having shown his inexperience earlier in the race. There is surely more to come and a step up in trip could play to his strengths. Underachieved last season having been bought out of Roger Charlton's stable. 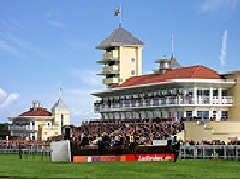 After 3 runs on the all weather he finished 2nd in the Lincoln at Doncaster and won a 7f race at Wolverhampton in July. On his final outing he claimed a staying-on 6th of 19, after meeting traffic problems. He can build on those achievements this season. Had his first race at Haydock in September when a staying-on 3rd and followed up next month by winning a 1m maiden race at Leicester, outbattling a subsequent winner. He looks certain to improve and a step up in trip should suit. Achieved high rank in Australia before joining the Ballydoyle stable, winning 2 Cox Plates for 3yo's and just failing to get home in the Melbourne Cup. This talented individual could well dominate middle distance races in Europe this year. Came into his own in his second season when starting the campaign with a win at Doncaster in April. After a hard fought win in the Heritage Handicap at York's charity meeting in June, he just missed out to a stablemate in the Stewards Cup and again in the Ayr Gold Cup. A group winner in waiting this could be his year. This filly's pedigree is so dazzling you need shades just to read it; being the first offspring of All Too Beautiful, (runner up to Ouija Board in the Epsom Oaks), a sister to Galileo and a half sister to Sea The Stars. Unfancied on her sole start last season she ran a terrific race to finish 2nd and this season should see her come into her own. I rate her the best of my past horses to follow. Ashkazar former flat horse in France took well to hurdles last season. Best effort was in the grade 2 Kingwell Hurdle at Wincanton when beating Whiteoak with Punjabi 10 lengths behind. Failed to perform in the Ladbroke Handicap Hurdle at Ascot in December and again wearing blinkers in the Champion Hurdle. Nevertheless has the size and scope to make a decent chaser this season in the novice ranks. Big Buck's career changed from smart chaser to supreme staying hurdler last term. His trainer, Paul Nicholls, belatedly realised his potential in this sphere, was rewarded by his charge rattling off three straight victories at Cheltenham including the Grade 2 Cleeve Hurdle and putting Punchestowns in his place in the World Hurdle and rounding off the campaign by winning the Liverpool Hurdle at Aintree. Big Eared Fran good novice hurdler last season who has now moved to Ireland. Won the grade 3 EBF Novices Handicap Hurdle at Sandown in March. Has the scope to make up into a decent chaser this season and is bound to win races. Black Apalachi, a good staying chaser who had his best season last year when winning the grade 2 Bobbyjo Chase at Fairyhouse. Went on to win the Becher Chase at Aintree and was a leading contender for the Grand National when unseating his rider on the second circuit. Is sure to win races this term if continuing in the same form. Cappa Bleu top class hunter chaser last season who became the first horse since Rushing Wild to win the Cheltenham Foxhunter on Rules debut at the Festival in March. Wasn't given a hard time when 18l 3rd in a 2m 4f race at Aintree in October and should prove a different horse when fully fit and stepped up to his optimum distance of 3m on a more testing track. A must for our past horses to follow list. Cooldine emerged as a leading player in staying chases last season, winning three of his five starts over fences, two of those at the highest level. Won the RSA chase at the Cheltenham Festival and put top class Forpadydeplasterer in his place in the Moriarty Chase at Leopardstown 2m 5f, soft. Likes to get his toe in and is 2-2 on heavy. Hurricane Fly is the favourite for this year's Champion Hurdle after showing himself to be the top novice in Ireland over 2m last season. Winning five of his six starts he suffered a set back when found lame in February forcing him out of Cheltenham but returned in cracking form to take the Champion Novice Hurdle at Punchestown in April. I'msingingtheblues won some decent chases last term including a valuable win beating Doctor David at Doncaster over 2m 1/2f and should win more this term. Goes well fresh so that's the time to catch him. Keki Buku proved himself a fair novice hurdler last season winning his 2nd start at Wincanton. Held in high regard by his trainer and likely to continue to progress in middle distance hurdle races this season. Lightning Strike made a useful start in novice chases last term winning three out of five starts at Wincanton, Doncaster and Leicester. Likes to dominate in small fields. Mad Max is a giant of a horse and has done well to win 2 bumpers and two novice hurdles. His only defeat coming on the heels of Mikael D'Haguenet at the Cheltenham Festival. Sure to come into his own over fences and his debut is eagerly awaited. 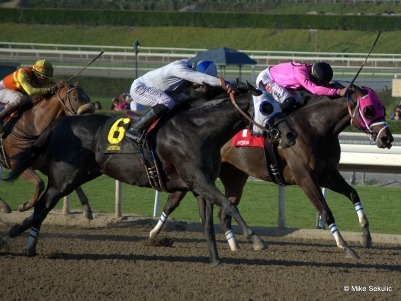 Is sure to add points to our past horses to follow results. Mikael D'Haguenet won all six of his starts over hurdles last term when he came over from France to Ireland to join Willie Mullins stable. This included three grade one's the best of which was the defeat by 4l of Cousin Vinny in 2m 4f Champion Novice Hurdle at the Punchestown Festival in May. Tataniano is an ex Irish pointer and lightly raced novice hurdler. 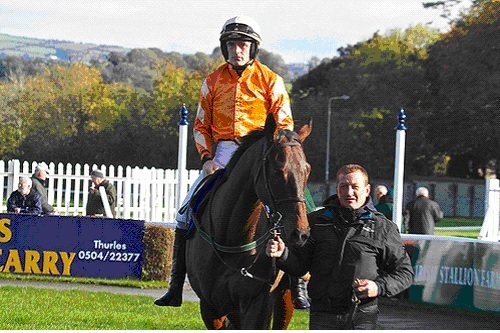 Won his bumper at Chepstow last October and narrowly failed to land the odds at Kempton on his hurdling debut. Won easily by 10 lengths at Exeter next time before being beaten 35 lengths behind Diamond Harry in a grade 2 at Cheltenham. returned to that course in April he was impressive in making all to beat Postmaster by 21 lengths. Has bags of speed and unbeaten on good ground he will be a potent force in 2m chases this season. Tatenen began his career as a 2m novice chaser last season winning his first two starts. Failed to shine however in his 4 grade 1 races. Likely to be upped in trip this term and has good prospects of fulfilling his early potential. Tricky Trickster established himself as a top staying chaser last year winning his first start over fences in a 3m novice handicap at Newbury in December. Ran 2nd to Ping Pong Sivola in 2m 5f novice handicap at Cheltenham before excelling himself in the 4m National Hunt Chase at the Cheltenham Festival. 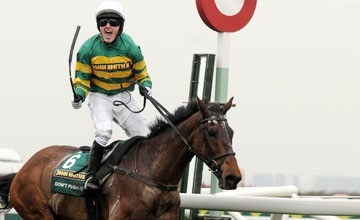 Trainer states he will be aimed at the Grand National and is likely to run in hurdles (yet to win) to protect his mark. An exciting addition to our past horses to follow for staying races. Vino Griego was purchased in the French sales for 65,000 euros and began to make his mark in bumpers last term. Stepped up on his debut 2nd at Newbury with a runaway success over 2m at Ascot. Sure to do well if he takes to hurdling. Zaynar enjoyed undoubted success last season as a juvenile hurdler, winning all three of his starts. Culminating with a fine win in the Triumph Hurdle. 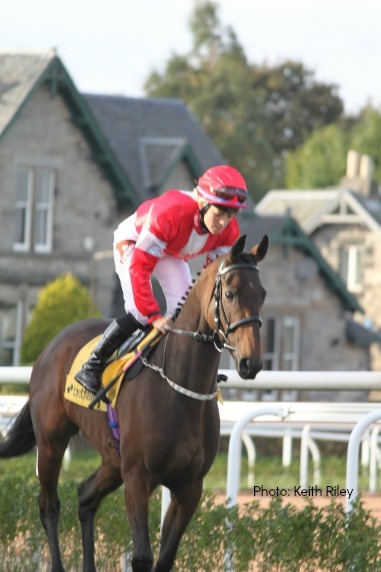 Expected to make his mark in top 2m hurdle races this season and one of our top past horses to follow. My National Hunt Past horses to follow List Results for the 2006/2007 season. If you wish to take advantage of our FREE OFFER to be advised by email whenever any of my Past horses to follow are running please complete the form below. This will apply until the end of the season in April 2007.